Overall, a useful package for many different styles. 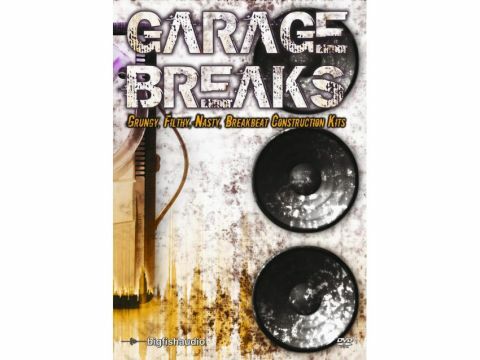 Nothing to do with the garage genre of dance music, Garage Breaks actually comprises 40 complete construction kits. Said kits boast plenty of funky elements suitable for most styles of music, particularly those that incorporate any sort of breakbeat influence. There are heavy bass riffs, mental synth splashes, guitar loops and some of the most distinctive drum hits and loops you're ever likely to find on a sample DVD. Strangely, though, some of the drum loops don't quite seem to loop perfectly, but this is good stuff overall.